The 2011 Nissan Versa leads the small-car pack in spaciousness, which is worth considering if you carry passengers in the back seat. Standing tall in both dimensions and refinement, it may also tempt those who appreciate the smoothness of a CVT, which promises 34 miles per gallon on the highway (according to EPA fuel-economy estimates). 2011 Nissan versa: you get what you pay for, really. 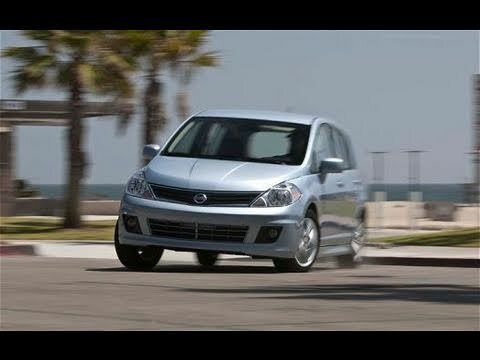 The 2011 Nissan versa is a surely reliable car. This car provides 0 wow factor, but it does what it is intended to do. While you can tell the car is cheaply made as there is no stand out features not to mention it even feels behind considering the year make; you get what you pay for. The car has ran well only ever not operating correctly once, and once the problem was fixed everything it was as if nothing happened. As for performance, don't expect to race as you'd probably lose out to your grandma due to the very slow acceleration. But to me these aren't actually negatives, these are trade-offs. While I may not know much about cars personally I feel as though the car is very adequate for the price. If I could give one word to my experience with this car it would be, dependable. With hardly any maintenance this car has ran about the same since I owned it and shows no sign of slowing down. My Nissan Versa, a great commuter car. Compact car that is easy to drive and park. I like the fact that it gets good gas mileage and makes for a good commuter car. However, it is not the most smooth ride and you can really feel every bump in the road. The seats are fairly comfortable and the fact that it is a hatchback make for a roomier feel when sitting in the back seats. Also, since the car is only a four cylinder engine, which helps the gas mileage, it is a car that does not have much power. And I find it lacking sometimes when I am going uphill and need to merge or change lanes. But that would be my only complaints about the car. The Nissan Versa has served me well for several years now. The Nissan Versa is very spacious and very comfortable on long road trips. I have had this vehicle since 2011 and it has treated me very well. I have not had any major problems with the Versa, only routine maintenance. It currently has almost 150k miles on it and is still going strong. I chose to go with the cheapest (cost-wise) version of this vehicle when I first bought it, so the features on it are minimal. For instance, I do not have power locks, power windows, and other bells and whistles. The Versa has been extremely reliable throughout the years and even made it cross country twice! I could not find a better car for the amount I paid for it.